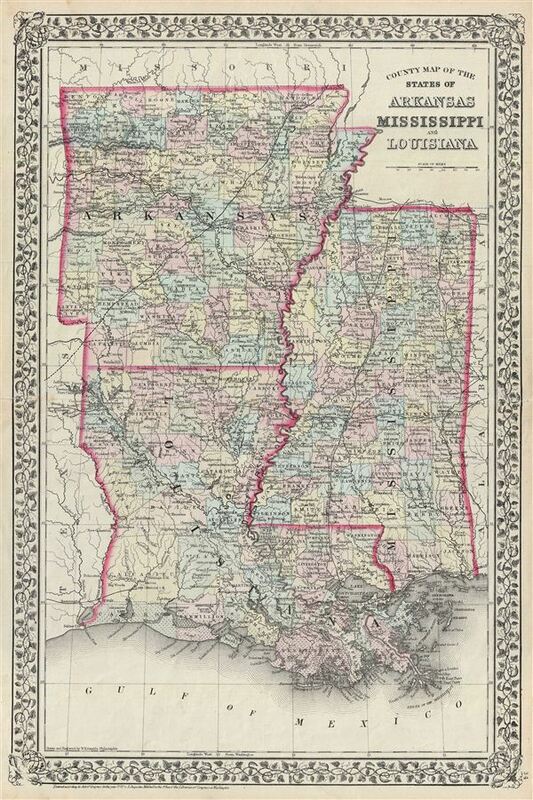 County Map of the States of Arkansas, Mississippi and Louisiana. Very good. Blank on verso. Original centerfold. Minor overall toning. Verso repair along centerfold.